Left image: Staff Sgt. Ty M. Carter, with A Troop, 8-1 Cavalry, 2nd Stryker Brigade Combat Team, 2nd Infantry Division. Right image: Spc. Ty M. Carter and Spc. Jonathan Adams, the Blue Platoon forward observer. The Battle of Kamdesh would be one of the costliest battles for the Americans of the entire Afghanistan conflict as it saw an American outpost partially overrun after an attack by over 300 Taliban fighters. When the day-long battle was over, eight American soldiers were dead and over 20 wounded in the relentless attack on Combat Outpost Keating. Approximately 50 Americans who served in the garrison would receive 27 Purple Hearts, 37 Army Commendation Medals with a “V”, 3 Bronze Stars, 9 Silver Stars, and two of them would be among the few living recipients of the Medal of Honor. And while you would have a hard time convincing the man himself that he deserved it in the face of such collective gallantry, Staff Sergeant Clinton Romesha would become one of the latest living recipients of the Medal of Honor for his actions on that October day. Clinton Romesha was born in 1981 in Lake City, California to a family with a long military tradition. His father had fought in Vietnam, his grandfather fought at Normandy in World War 2, and two of his four siblings had also served in the military. He enlisted in the Army in 1999 and was initially trained to crew the M1 Abrams tank. He would volunteer for his first tour, seeing action in Iraq in support of Operation Iraqi Freedom, after hearing the news that one of his Army mentors had died in action. After his first tour, subsequent training would see him qualify as a Calvary Scout. He would then go on to serve a second tour in Iraq. However, it would be his May 2009 deployment to Afghanistan that would earn him the nation’s highest military honor by thrusting him into one of the most intense and vicious firefights of the entire war. At this point in the conflict, the strategy was to deploy small units in forward combat outposts supported by heavy air power and additional troops at nearby installations. The goal was to deny the Taliban access routes over the Pakistani border, while empowering local elders and Afghan National forces with this show of support. One such outpost was COP Keating in Kamdesh. The Americans were in the process of shifting strategies towards pulling back to protect a more populated area. Unfortunately, while the decision to abandon COP Keating had already been made, that move would not come quick enough for the garrison defending it on October 3rd, 2009. COP Keating was surrounded by mountains on all sides and supported by COP Fritsche approximately 2 km up in higher terrain. 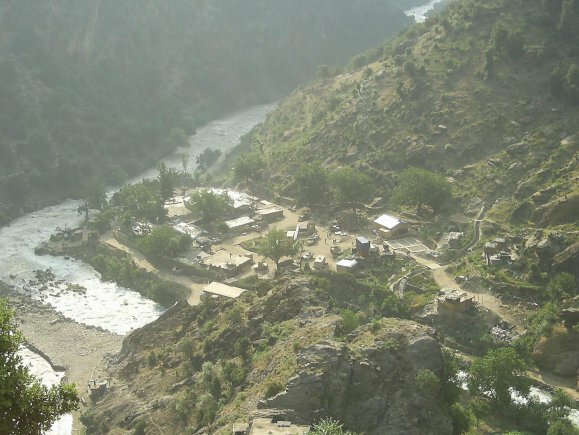 Before October 3rd, COP Keating was the scene of nearly daily attacks from the Taliban, which the American forces defending Keating had grown quite accustomed to. With approximately 50 men at Keating supported by 20 Afghan National Army troops, COP Keating was defended for every threat they had faced up to date. However, the subsequent disciplining of 4 officers after the attack for failing to prepare for the worst would be just one indicator of the disaster that almost took place at Keating. At approximately 0600, as many of the soldiers were still sleeping, more than 300 Taliban fighters unleashed a coordinated assault of small arms fire, RPG’s, anti-aircraft machine guns and a recoilless rifle. As the thousands of rounds began to pour down upon their location, the Americans knew that this was not a typical morning attack. Almost immediately, most of the Afghan soldiers abandoned their positions and fled to the barracks leaving the Americans to do the bulk of the fighting. 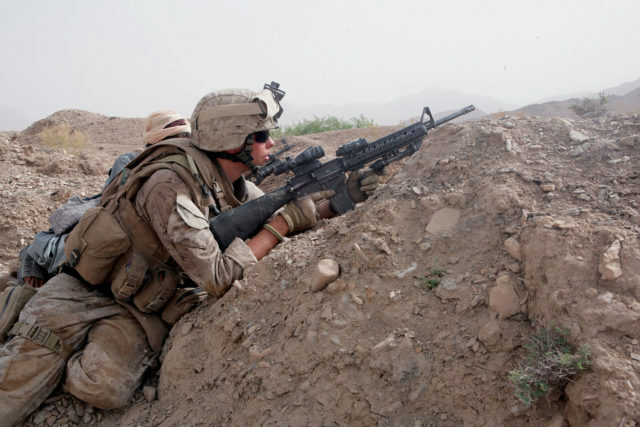 Under heavy fire, Romesha set out to reconnoiter the area and head for the barracks to reorganize what remained of the Afghan forces who were pinned down by sniper fire. By this point, hours into the battle, the Taliban had breached the perimeter and had set fire to the arms depot. Romesha led the effort to reclaim the depot and push back the forces that had infiltrated the wire. He personally neutralized a Taliban machine gun team just before taking cover behind a generator. Instantly, the generator was hit with an RPG sending shrapnel tearing through his arm, shoulder, and neck. Ignoring his injuries, he charged across open terrain under heavy enemy fire to organize a new team to continue the fight. As he bounded across the battlefield rallying the men and taking out the enemy, he never lost radio contact with the tactical operations center, and he successfully called in the strike that took out the recoilless rifle that had hammered COP Keating for hours. As the battle raged on for nearly 10 hours, Romesha never lost his resolve or willingness to put himself in harm’s way on behalf of his men. 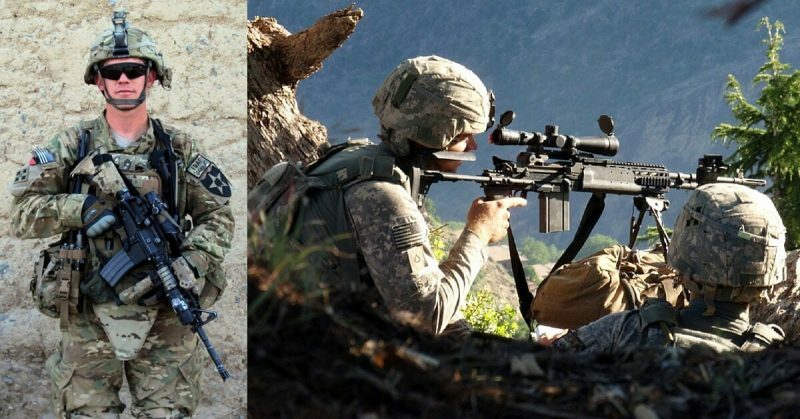 He continually provided suppressing fire to recover the wounded and when the Taliban attempted to carry off the bodies of his fallen brothers in arms he pushed forward over 100 meters under fire to stop the Taliban in those efforts. Due to the terrain and the heavy fire on approaching helicopters, it would be over 10 hours before the quick reaction forces were able to make their way to COP Keating and relieve the beleaguered troops. Over 150 Taliban fighters were killed in the Battle of Kamdesh before they eventually withdrew and gave up on the assault. The battle was finally over, and the relieving American forces couldn’t believe what the men at COP Keating had just endured. Scheduled for withdrawal due to a shift in battle plans, COP Keating was evacuated earlier just two days after the attack and what had not already burned down during the battle was destroyed by American air power to prevent any munitions left behind from falling into enemy hands. For his actions that day, and much against his will, Staff Sergeant Clinton Romesha would become one of two men given the Medal of Honor for actions at the Battle of Kamdesh. After his return to the United States, Romesha exited the military and moved to North Dakota to spend time with his wife and three kids. 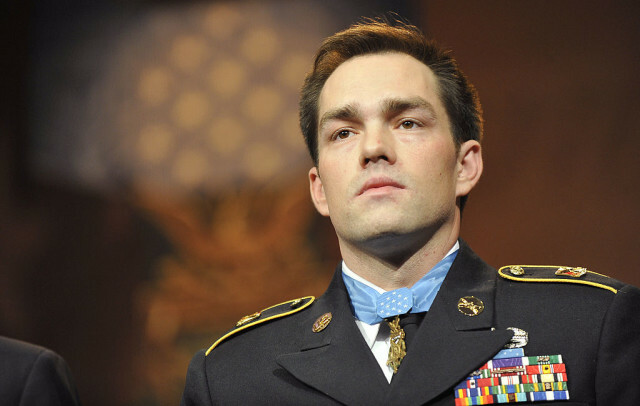 In February of 2013, Romesha received the Medal of Honor during a ceremony at the White House. Every man who fought at Kamdesh demonstrated such gallantry that Romesha would always state he felt conflicted about wearing the award, but that he would do so on behalf of the men who didn’t make it. The Battle at Kamdesh was very close to being an unprecedented military disaster, but for character and resolve of those who fought at the outpost prevented this. Everyone would agree that Staff Sergeant Clinton Romesha deserves his honor and is truly an American hero.